The number of workers who say they are confident that they will have enough money to live comfortably in retirement improved to 18% from 13% in the prior survey. The percentage of retirees indicating that they were very confident that they would have enough money to live comfortably in retirement jumped from 18% to 28%. Workers having money in a retirement plan such as an IRA, 401(k), or pension were more than twice as confident that they would have enough money in retirement (24% vs. 9%) than those not participating in a retirement plan of some sort. Worker confidence decreased with higher levels of debt. Worker confidence was higher among workers with higher levels of income. Surveys and overall statistics are great, but the reality is that your level of retirement confidence should be driven by your level of retirement readiness. How much am I saving each year for retirement? How much will I need to have accumulated by the time I retire to ensure a comfortable retirement? How much will I spend annually in retirement? What resources will I have available to fund retirement other than my nest egg? This would include items such as a pension and Social Security. According to the survey those workers carrying high debt loads were less confident about their ability to accumulate enough money for a comfortable retirement than those workers with more modest levels of debt. This is no surprise in that money that goes to service your debts is money that cannot be saved and invested for retirement. Once you are retired excess debt payments can be a real burden for those on a fixed or semi-fixed income which is a high percentage of retirees. If the debt, such as a mortgage, is at a manageable level given your retirement cash flow, that’s fine. What can you do to boost retirement confidence? Manage your spending and make cuts where possible. Take full advantage of your 401(k) plan or other workplace retirement plan. Start and fund a self-employed retirement plan if you are self-employed. Manage all of your old retirement plans as well as those of your spouse as part of your overall portfolio. Consider an IRA to consolidate several old plans in one place. 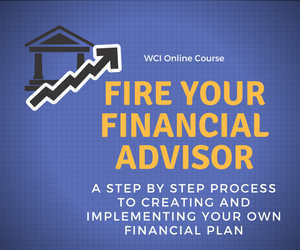 Get a financial plan in place to assess where you stand and to determine any shortfalls regarding where you need to be. 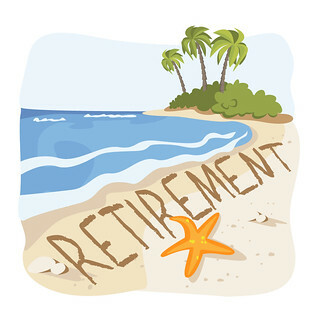 Delay retirement or plan to work at least part-time during retirement. Ramp up you savings now. Revise your planned standard of living in retirement. In a prior post on this blog Is a $100,000 a Year Retirement Doable? I worked through the math of a hypothetical retiree. This methodology might be helpful to you as well. You may or may not like the answer you get when you do the planning and the math for your retirement but at least you will know where you stand. Knowing where you stand is powerful and can go a long way to improving your confidence about your retirement.